“It’s a movement for Communism,” I say, “where everyone would be equal and things would be much better than in this society we live. There is a solution from this era, capitalism, and that is Communism. I try to draw Communism for them. They get interested and find a little hope. Then they give me their telephone numbers. Since I’m new, I can’t explain everything about ICWP. I take the numbers of those who want to join. But, I don’t stop there. I invite them to come to a meeting. There, other comrades come who assist me in explaining more about ICWP and Communism. After that, they choose whether or not to join ICWP. This is my way of mobilizing, of recruiting members to ICWP. In each and every conversation I have, I look at the person’s pain, or what they are complaining about and use the opportunity to show that there is a better way of living, which is to live in a true communist society. 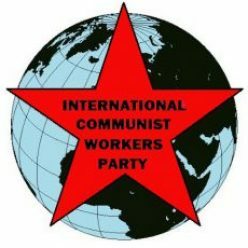 I talk about ICWP and Communism anytime, anywhere. Hence people get interested every day. I come across a lot of questions, like: When will communism take place? Who will be the president? How many people are needed? How do we vote? I say that this is a movement. It might not happen today, or tomorrow, or the day after tomorrow. But what I am sure of is that if I die, I die knowing that I prepared a better tomorrow for the next generation because this is the movement. I even use the example of how the African National Congress (ANC) started in 1912. No one knew in 1912 that the ANC would win power by 1994, but they did. I use this example to try to explain to them that we don’t need to vote. The only thing we need is to reveal the truth to the people, to alert them about the truth. People think it’s God who makes them suffer. But it’s not like that. It is the system, the way it’s built. It oppresses the people. I try to answer those questions and if ever there’s a question that I am a little confused about, I go and consult my comrades and then I come back with an answer. It helps me a lot that I have a lot of enthusiasm for what I’m doing. Every time when I talk, I include it as part of the conversation so that the person doesn’t feel threatened or shocked. The most important part is to get feedback, go back to the people you gave the Red Flag to know and see what they think of it and what they learned from it. Don’t just give them Red Flag and that’s the end of it. Find out how they see Red Flag. Because the main aim whenever you are giving Red Flag is the results. Maybe you give ten Red Flags. Maybe two of them will give you their telephone numbers. This is the main thing that is important. So we must focus on the results of giving the Red Flag, which is the quality, comrades.